DAVID LE/Staff photo. 5/20/15. 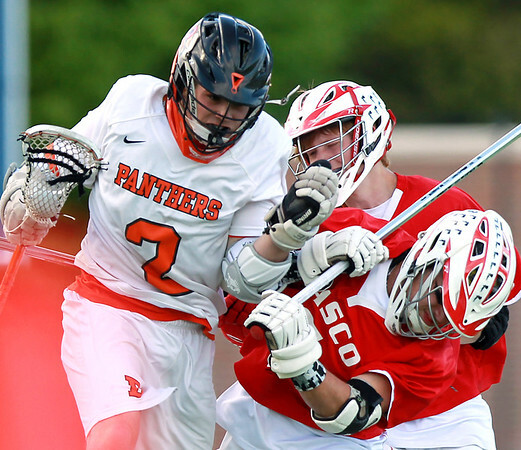 Beverly sophomore midfielder Kyle Chouinard (2) runs over Masco senior Corey Tines in an effort to move the ball upfield during the third quarter of play.